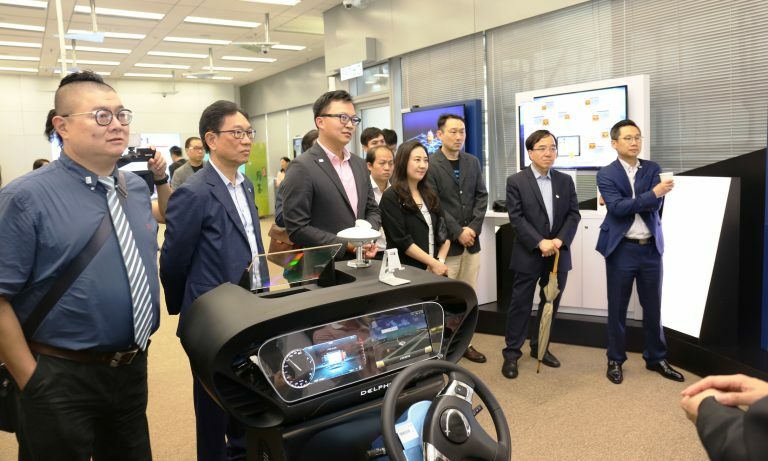 A delegation of the Hong Kong Smart City Consortium (SCC) visited ASTRI on 25 June 2018 to witness demonstrations of ASTRI’s smart city technology applications and to discuss future collaboration opportunities. 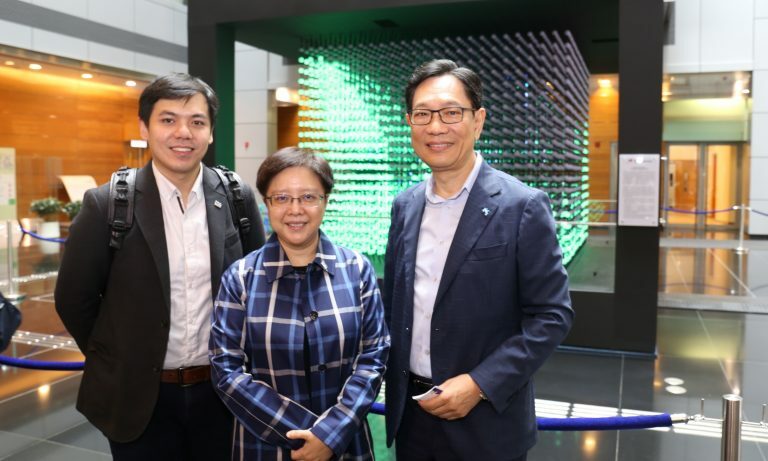 Honourable Dr Elizabeth Quat – HKSAR Legislative Council (LegCo) Member as well as Founder and Honorary President of SCC, led the delegation to ASTRI. 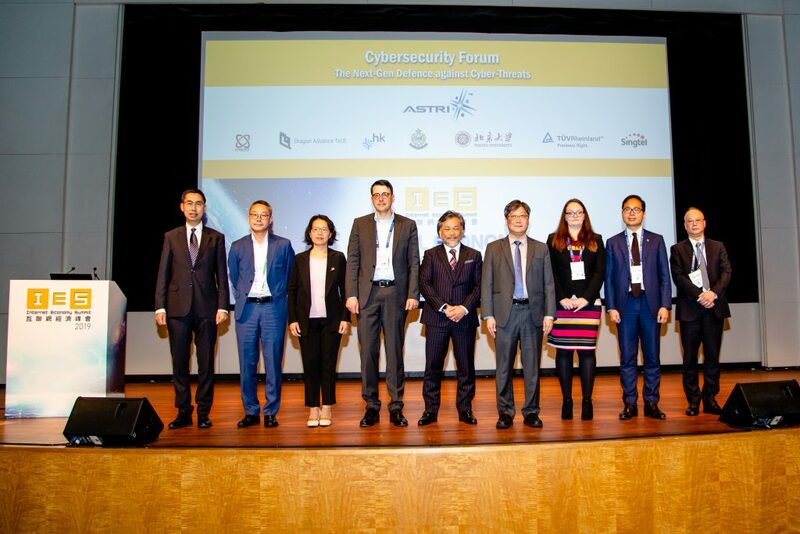 The delegation also included Dr Winnie Tang – also a founder and Honorary President, Mr Eric Yeung – President of the SCC, and some 20 Committee Chairmen of the SCC. 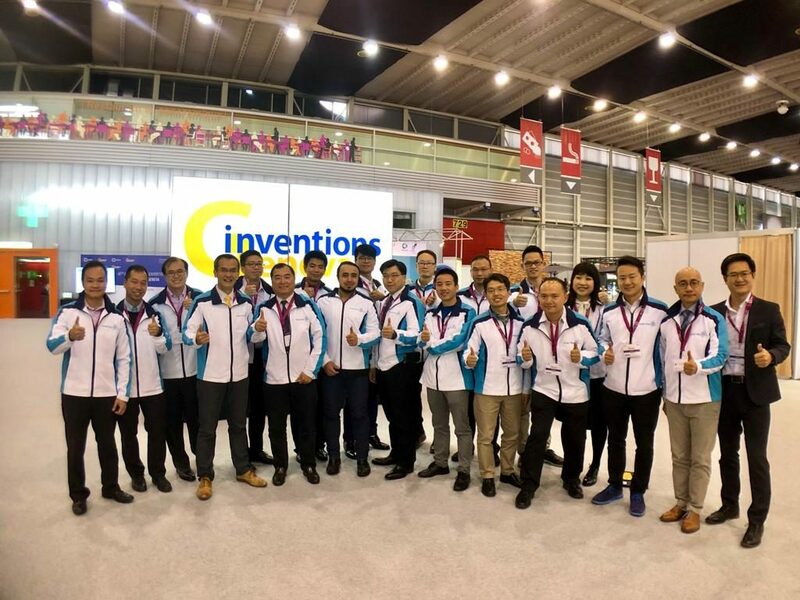 Mr Wong Ming-yam, ASTRI’s Chairman, welcomed the delegation. 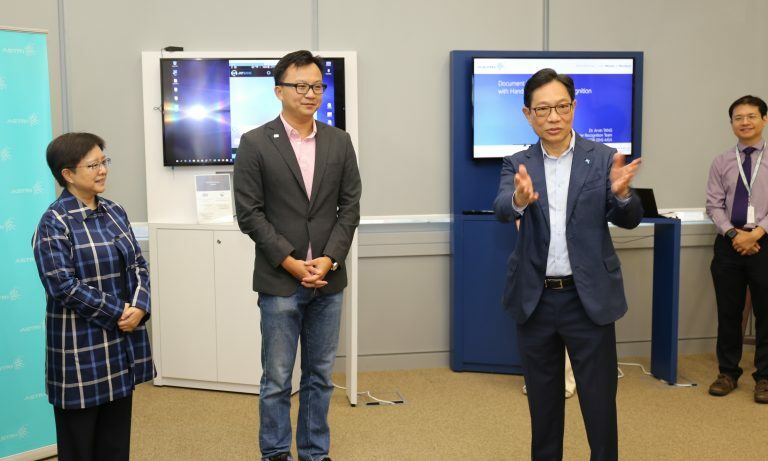 He was accompanied by Dr MeiKei Ieong – Chief Technology Officer, Dr Justin Chuang – Vice President of Next Generation Network, Dr Lucas Hui – Senior Director of Security and Data Sciences, and other executives and R&D professionals. 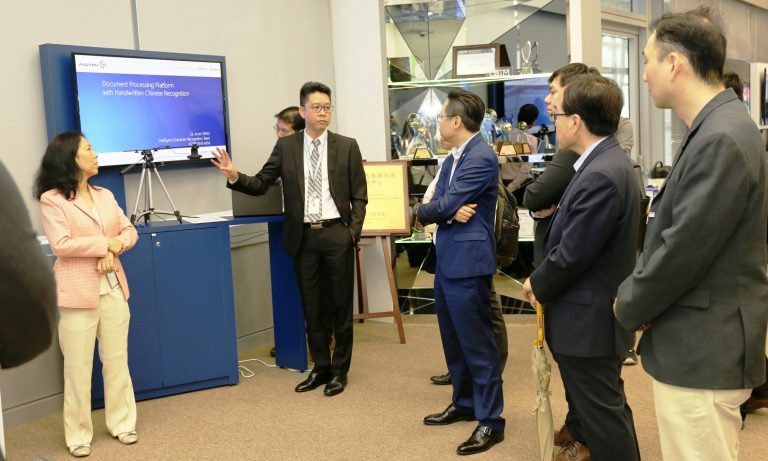 The delegation spent time in ATSRI’s Smart City Innovation Centre, Mega Lab and Cyber Range facilities getting briefed on the latest R&D work including advanced display technologies, biometric authentication systems, AI-based chatbot and intelligent Chinese character recognition system, medical imagie analytics platform, next generation capsule endoscopy system, applications of 5G, AI and robotics in manufacturing, cybersecurity, and blockchain for financial services and other sectors. 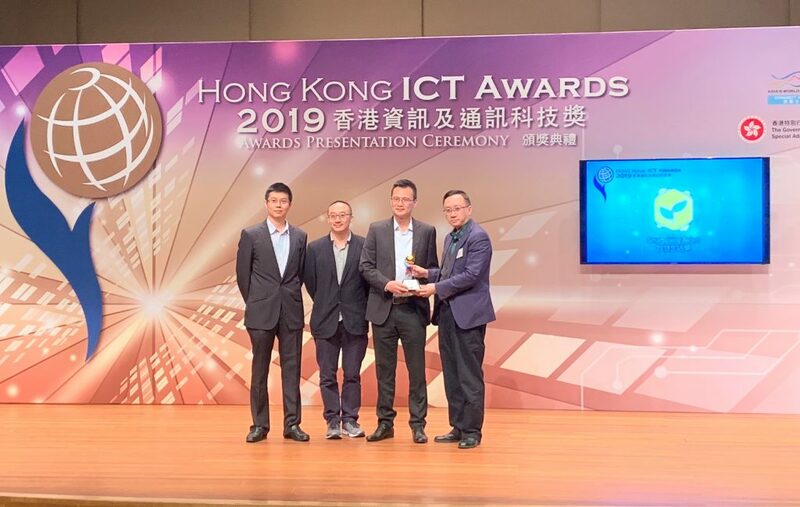 Hon Dr Quat, a vocal proponent in the Legislative Council for Hong Kong’s innovation and technology development, suggested that “the SCC should seek further collaboration with ASTRIIto pursue joint innovation projects that can add strong practical value to innovation-led industries not just in Hong Kong but across the Southern China Greater Bay Area.” Hon Dr Quat promised to highlight in the LegCo the great potential of collaborative R&D endeavours that ASTRI is pursuing. 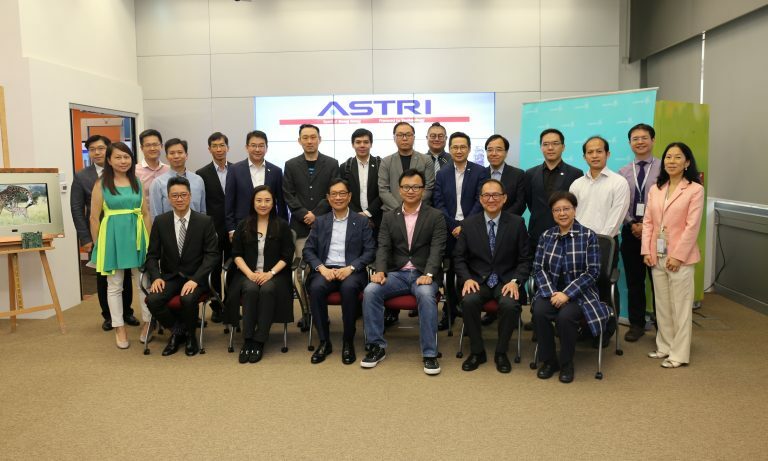 She also encouraged ASTRI to “leverage every available opportunity in the local, regional and national level to advance I&T”. 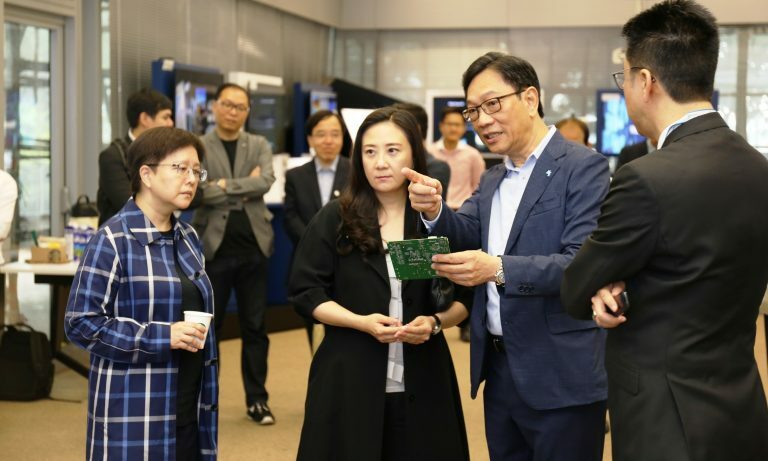 The delegation members were impressed with the depth and dynamism of ASTRI’s work in smart city development and praised its R&D team’s efforts in making technology work for Hong Kong and its people. 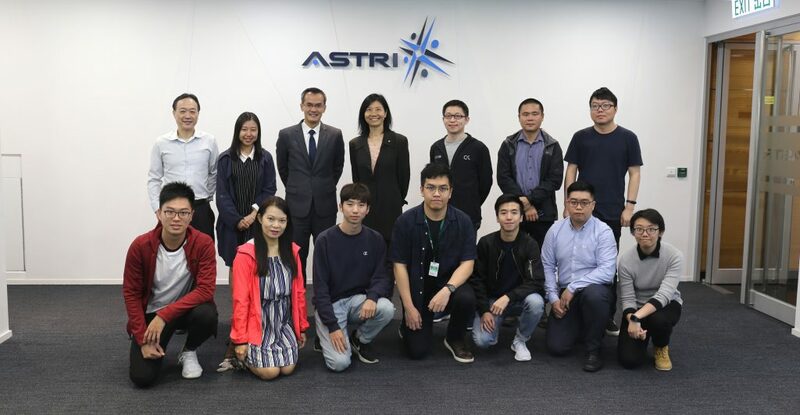 Mr Wong Ming-yam commented that “ASTRI is extremely pleased to receive the delegation from SCC at our facility.” While only a few selected solutions developed by ASTRI were demonstrated during the visit, “there is a much wider and larger pool of applications in ASTRI’s repertoire and also in its R&D pipeline.” He expressed hope that “ASTRI and SCC will collaborate closely in future to benefit the overall smart city and I&T development endeavours.” Mr Wong thanked the SCC delegation members, especially the Hon Dr Quat, for taking the time for this visit and sharing their views and insights with the ASTRI team.